Register Products Note: When you register the scanner, please choose NT510honda as the part number. If it shows the serial number is invalid, please choose NT510 as the part number. Serial number and register password can be found by selecting Setup-About from your scanner. 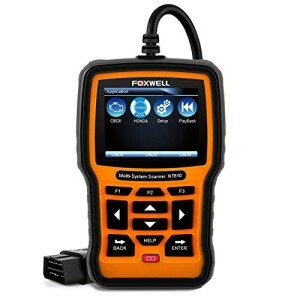 FOXWELL NT510 Multi-System Scanner is a professional scan tool. It is a unique tool that delivers OE-level diagnosis for different car brands and supports the most commonly required service features. It does not only include basic functions such as codes and live data, but also is capable of advanced functions such as actuation, adaptation and programming. In addition, it lets you to access the most commonly required service features such as oil service light reset, throttle body adjustment, DPF regeneration and much more.Please note, not all the special functions can be support on each vehicles, it depends on the actual condition of the vehicle. If you plan to buy this scanner to do the special functions on your car, please contact us before you place an order. 1. Compatible with both OBDI and OBDII vehicles. 2. Gets access to powertrain, chassis and body systems. 10. Runs component/system bi-directional tests. 11. Supports the most commonly required service features like brake deactivation, service resets, and transmission adaptations. 12. Multi-language menus and code definitions. 13. TF memory card(included) for data backup and software update. 【SUPPORT VEHICLE】This scan tool is exclusively for Honda and Acura. Allows you to read ecu information, erase codes, live data on almost all electronic systems, such as ABS,SRS,A/T,EPS,Keyless Access, Honda Smart Packing, LKAS Control, ect. We could not guarantee that it’s able to access same amount of ecu modules on different vehicles manufactured in different year. That depends on the actual condition of the vehicle. 【MAIN FUNCTIONS】Read and clear diagnostic trouble codes from numerous vehicle systems – ABS, Airbag, Engine, Transmission, Instrument cluster etc. Component Testing, Read Vehicle and Ecu Information, DataStream Graph Display, view freeze frame data, read live data stream info. Fault-Tracing for malfunction indicator lights, includes check engine, ABS, SRS airbag, etc. 【SPECIAL FUNCTIONS】Oil Service, EPB, Throttle opening angle, Steering angle sensor and replace internal battery. 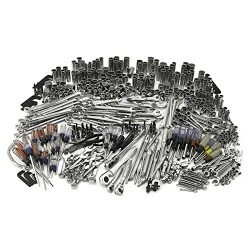 Allows for the coding and programming of a replacement control module or changing previously stored incorrect coding. PLEASE NOTE: THOSE SPECIAL FUNCTIONS CAN BE SUPPORTED ON SOME VEHICLES, NOT ALL THE VEHICLES, WHICH DEPEND ON THE ACTUAL CONDITION OF THE VEHICLE. 【LANGUAGES & SUPPORT】 Lifetime free update. Multi-language menus and codes definitions for an international marketplace. Language includes: English, French, German, Dutch, Spanish and Italian. 【BEST DIY DIAGNOSTIC TOOL】The NT510 Honda model (which is basically the OBD II software plus the Honda software included) is probably the best you can get because not only does it read every possible sensor in the Honda vehicles, but also has many bidirectional options for it. Moreover, if you got another vehicle make, instead buy a $179 scanner, you just need to pay $60 to add other firmware to this NT510.